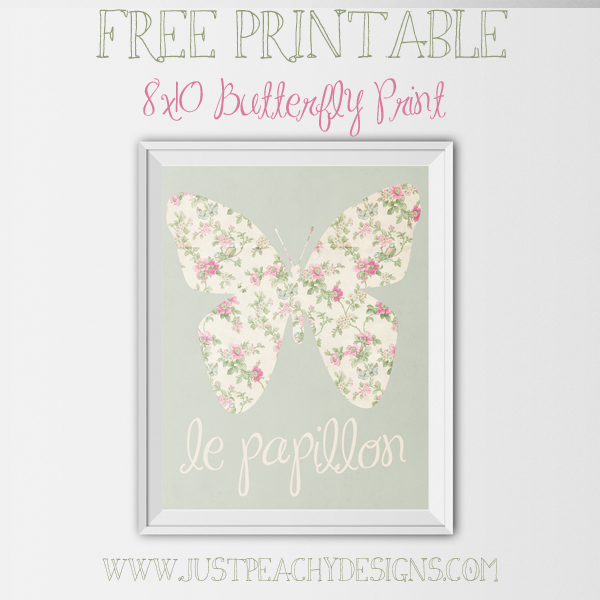 Here's a free butterfly printable featuring lovely digital paper from Far Far Hill. It would be perfect for a nursery or a little girl's bedroom ... or really any room that needs a feminine and floral touch! Just click the image above to download. Enjoy! Very pretty! I love the pattern and font.